Stop wasting time reinventing the wheel. Photographers are good at two things: Making pretty pictures and overcomplicating workflows. I mean, we are just being honest after all. At H&H Color Lab, we hear the same thing all the time: Photographers are spending hours upon hours lost in an inefficient workflow process. H&H has a proven workflow process that will help you no matter where you are in your business. Designed by sports photographers, for sports photographers, hhsports offers a complete ready-to-deliver packaging system. With hhsports, you only have to list your packages once, then you can recall them as often as needed. Have more than one package configuration? No problem. With hhsports, you can input as many different package configurations as you wish. 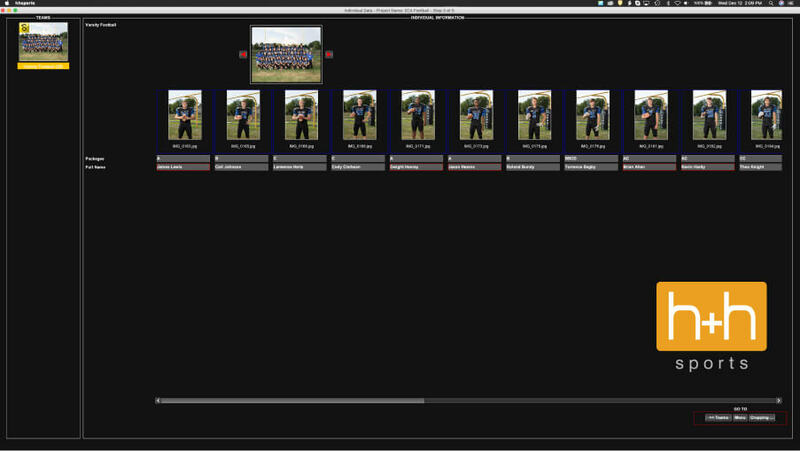 Whether you’re photographing leagues, school sports or dances, our software is up to the challenge. When it is time to complete an assignment, simply upload and organize images, enter package information, crop and submit. DONE. Submit your orders in minutes, not hours. Oh, and did we mention? It’s 100% FREE! We believe you shouldn’t have to pay a fee to send orders to your lab. Our barcode scanning options let you match images and data, avoiding the headache of costly typos. 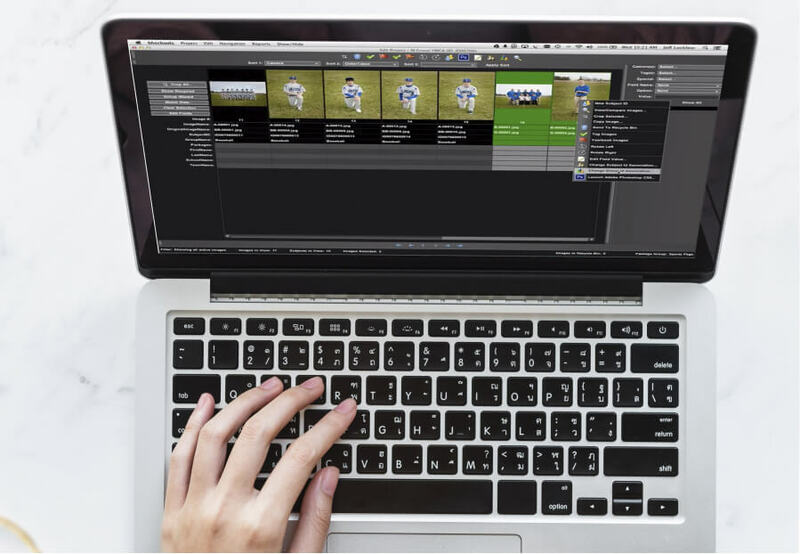 Building off all the great features of hhsports, this is the software you want if you need advanced sports workflows while incorporating things like Knockout Sports, networked workstations, and e-commerce integration. Oh, and did we mention hhschools is also 100% free? Again, we want to make it easier for you to order. So you can get on to the more important things in your life. Not sure what software is right for you? 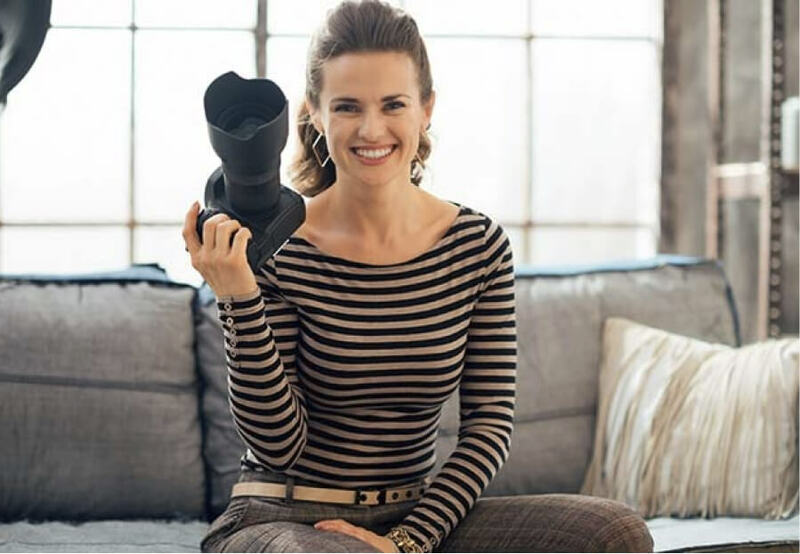 Do you just want to take pictures and get paid? Why not let the folks that wrote the software handle your post-production for you? Click, send, get paid. Because life is too short.